Happy autumn to everyone out there! Since moving to the D.C. area years ago, there are several fall events that traditionally make it to my calendar. One of these is the National Book Festival held downtown on the Mall. This year, I had to miss day one of the Festival, but a couple of friends and I were able to attend on the second day (Sunday). The weather was beautiful and there were book fans everywhere with bright Festival bags dangling from their arms. I arrived twenty minutes into graphic novelist Craig Thompson‘s talk. Years ago, I devoured his graphic novel Blankets. Most of the questions directed to him by audience members involved his more recent novel Habibi. I know that I’ve seen mixed reviews of Habibi, but as often happens at the Festival, hearing the author talk about his/her book usually makes me want to go out and read it. Thompson said that his next book is planned to be an “all-ages spaceship adventure”. He explained that his previous works had been for more adult audiences and now he wants to write a graphic novel that younger readers could enjoy, just as he enjoyed graphic novels he read as a kid. After snarfing down a burger and fries for lunch, I returned to the Sci-Fi and Graphic Novels tent to hear Nalo Hopkinson, author of speculative fiction titles such as Skin Folk, The Salt Roads and her newest book, The Chaos. I’ve never read her books, but I had heard of her through bloggers, including Eva of A Striped Armchair. Hopkinson happens to be having a little cluster of works coming out this year and next. 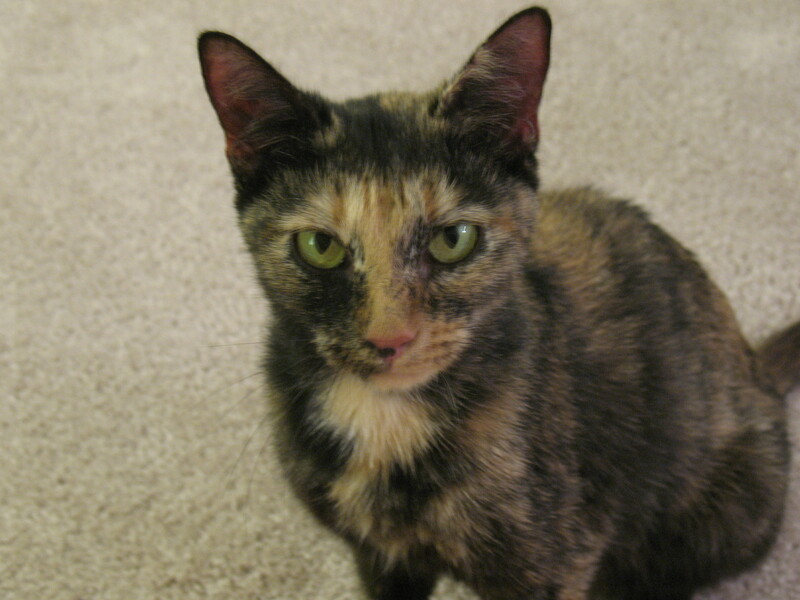 She explained that this is not her normal rate, but rather she was recently able to finish various works-in-progress. For a couple of years, her partner’s health issues and her own health issues (fibromyalgia and anemia) left them with little income and so they couch-surfed for a time. I was really moved to hear her thank all of the people who helped her and offered them a place to stay. From this experience, she can tell aspiring writers that they are not failures if they can’t “write every day” as the usual advice goes. Just write whenever you can. Hopkinson gave a couple of shout-outs to fellow authors when an audience member asked who she was reading. She mentioned Jeremy Love’s Bayou, which is a graphic novel I’ve been wanting to get my hands on. She also praised short-story author Kelly Link whom Hopkinson met while they were in a workshop together. “I can’t be jealous of her skill . . . it would be like being jealous of a mountain.” She also mentioned the late Octavia Butler as an influence and is still stoked that Butler blurbed Hopkinson’s first book. I stayed in my seat for the next speaker, Raina Telgemeier, the graphic novelist best known for her book Smile. I was quickly surrounded by a flock of pre-teen girls. This proved to be a very entertaining talk as Telgemeier asked one of the audience members to tell a true story of something that happened to them that was a little bit disgusting. Telgemeier would then make one page of comic panels depicting the story. A fairly self-possessed girl named Emily went up to the microphone and offered up her story of bladder surgery. Telgemeier asked a few questions, mostly “and then what happened” and wrote out a sequence of events on a giant sheet of paper on an easel. She expertly grouped some events together, and then on a blank sheet of paper started drawing evocative thumb-nail sketches of the story. It was very engaging and Emily got to take the resulting comic home with her. I do need to get around to reading Smile and her new book Drama sounds like it would be a great read as well. After that I shifted to the Contemporary Life tent and heard Representative John Lewis talk a bit about his new book Across that Bridge: Life Lessons and a Vision for Change. The title references a 1965 march Lewis helped lead in Selma to protest against white persecution of black registered voters. Alabama State Troopers attacked the marchers with clubs and tear gas (Lewis’ head was fractured) and the incident came to be known as ‘Bloody Sunday.’ Lewis recounted this story as well as other memories of the Civil Rights era. His talk emphasized the reconciliation and great change that has happened since then. The audience gave several standing ovations to Rep. Lewis. The last speaker my friends and I saw was Steve Inskeep, a journalist for NPR’s Morning Edition, and author of the book Instant City: Life and Death in Karachi. I actually started to read this book earlier this summer, but ended up setting it aside, distracted by a couple of other books. Inskeep was very articulate, which wasn’t surprising given his radio career. One thing that he said sticks out, which is that in his travels, he often finds that people in other countries follow what is going on with the United States closer than you’d think – and probably more than people in the United States think about other countries. I thought this was sadly very true. And it makes me want to go and pick up Instant City again as well as other non-fiction books about other countries and societies. And that was my National Book Festival this year. As always, I left inspired to read more. 1992. Bantam. Paperback. 578 pages. From: Bought it during Borders GOOB sale. As in other novels by Connie Willis, the premise starts with: Oxford historians travel back in time to conduct research. In Doomsday Book, a young scholar named Kivrin gets the go-ahead to travel back to 1320. One of her tutors, Professor Dunworthy, believes the trip to be too dangerous but is resigned to it, and helps prepare her for the journey. His fears are realized however when the technician who sends Kivrin back in time says something has gone wrong and then promptly collapses, gravely ill and unable to communicate further. Kivrin arrives in the 14th century and falls ill herself. She is taken to the house of a noble family and eventually nursed back to health, but soon realizes that she is in danger of not being able to return to her own time. Last year, I read Connie Willis’ To Say Nothing of the Dog. This is where I first encountered her time-traveling historians, including Prof. Dunworthy. In To Say Nothing of the Dog, the time travel was mostly to the Victorian age, with a few brief trips to the World War II era. There are some plot similarities between these two books: protagonists arriving in the past in a confused state of mind, obnoxious characters who the protagonists repeatedly must dodge. To Say Nothing of the Dog is primarily a comedy however, and Doomsday Book falls squarely in the tragic camp. 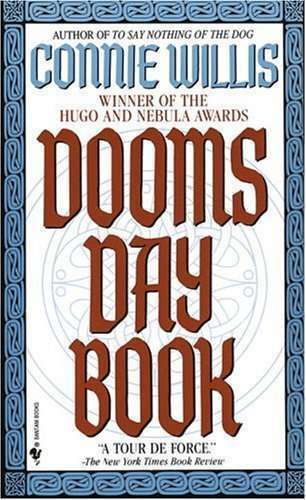 Doomsday Book has two parallel narratives: Kivrin in the 14th century and Prof. Dunworthy in the late 21st century. The first part of the book was incredibly frustrating to read as Kivrin struggled through her delirium to understand what was going on, and Prof. Dunworthy tried to find out what happened to her as people all around him fell ill to a mysterious disease. I appreciated on the one hand that Willis didn’t take shortcuts and made sure that the reader felt the suspense of the characters’ confusion. At the same time, I think she overdid it. Especially in the 21st century storyline, there was too much repetition in the plot. Prof. Dunworthy was forever trying to track some person down, and was forever being bothered by people with trivial concerns. I get the verisimilitude of Dunworthy’s problems, but there was too much time given to them, and it became annoying to read. Dunworthy’s storyline did achieve some moments of poignancy, especially near the end, but it did not affect me near as much as Kivrin’s story. It was her story that made the book worth reading, that haunted me for days after finishing the book. I loved the relationship that Kivrin establishes with her host family’s two daughters, 12 year old Rosamund and 5 year old Agnes. I loved how believable Willis’ construction of this 14th century village felt to me. There is one scene where Kivrin attends Christmas mass with her host family and you get to share Kivrin’s wonder at living alongside people in history. I also was quite moved by Kivrin’s developing bond with the illiterate village priest, Father Roche, especially as things take a grim turn and the two of them work together to help others. At the end of this book, I cried. For several days, I couldn’t stop thinking about this book and the characters I loved. I eventually turned to re-reading a favorite book series to get me out of my funk. More on that in a later post. So yes, I didn’t love everything about the book, but Willis emotionally slammed me by the end. Willis did such a good job in conveying the immense scale of the horror wrought by the plague. I especially appreciated how Kivrin clung to the statistics she’d learned about the plague, trying to convince herself that not everyone in her village would die. Two characters’ deaths were especially affecting. Rosamund’s death highlighted the apocalyptic feel of the plague-destroyed village. Rosamund did not want Kivrin to leave her because Kivrin was one of the only people left alive in Rosamund’s world. When that apple tumbled from her dead hand, it was just so quietly devastating. And the other death of course was Father Roche’s. You know, in the middle of the book, I harbored a hopeful theory that he was actually another time-traveler. I was really rooting for him to live. So to have him die was heartbreaking, especially to then also learn from his dying words that he saw Kivrin arrive from the future but thought her an angel, and on top of all that, fell a bit in love with her. Rip my heart out, Connie Willis. From other reviews that I have seen of Willis’ books, it’s possible I may have read her two best novels. I have also heard that Passage is good however, so I might give it a shot. When Harriet was a teenager, she fell in love with Vesey, the nephew of her mother’s best friend. They fumble toward romance, but Vesey is a little too cruel and diffident and Harriet too passive to make much of a relationship out of their mutual attraction. Years later, Harriet is married with a teenage daughter of her own and crosses paths with Vesey, who is an actor, but not a terribly successful one. There is then, the classic set-up: do they rekindle a romance or do they stay with the life they already have? This is not a romance, but more of a domestic drama, with the third-person narration pulling in the viewpoints of Harriet’s husband, her daughter, the family maid Elke, and others. A Game of Hide and Seek is not the type of novel I usually seek out. There is little in the synopsis that would entice me. But sometimes, if another blogger talks about an author long enough, I’ll take the bait and try him or her. 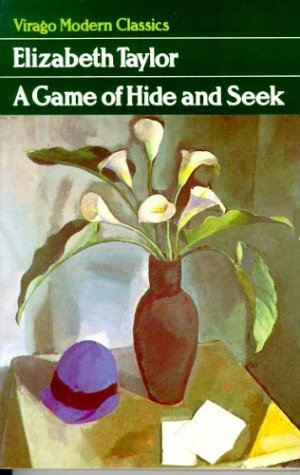 Blogger Buried in Print posted quite a bit about author Elizabeth Taylor (note: not the same person as the actress) in the spring and hosted a readalong of A Game of Hide and Seek in May. I did finish it in late May or early June, but haven’t posted about it yet. Taylor’s characters do not invite much emotional investment, especially her main characters. And they definitely do not invite admiration: Harriet and Vesey aren’t wise or ambitious or strong or clever. They are each a bit of a mediocre mess, especially when contrasted with their relatives. Harriet’s mom, Lilian and Vesey’s aunt, Caroline, were suffragettes who went to jail together. Taylor tantalizes the reader with snatches of Lilian and Caroline’s story and their friendship, and I can’t help but think that it’s deliberate. Taylor has passed over Lilian and Caroline’s possibly greater story in favor of weaker specimens of the younger generation. Perhaps she was making a comment about the generation that came of age in the 1920’s and then reached middle-age about the time of the book’s publication. I don’t know enough about the time or the author to say for sure, but that is what I wondered. I had heard that the 1945 film Brief Encounter directed by David Lean was possibly an influence for A Game of Hide and Seek. One character in the book even alludes to the film, but not by name. 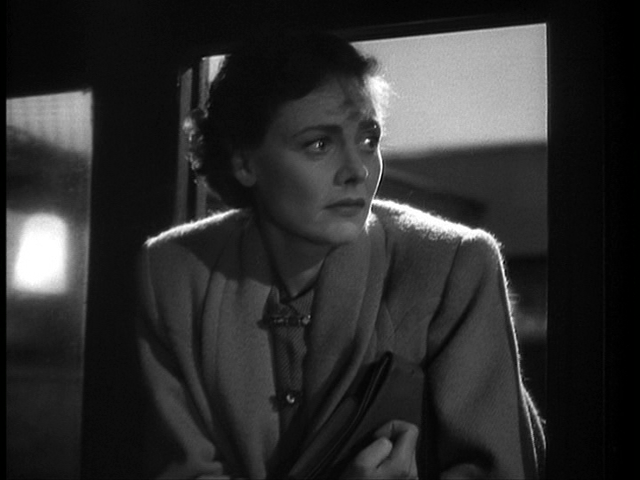 Brief Encounter is an outstanding film, mostly because of the natural dialogue, and the winning performance of Celia Johnson as the main character. I rewatched it again this summer. The plots are slightly similar and there is some overlap in tone, with the meetings between would-be lovers conducted in cold outdoor settings and with a sense of futility from the start. I definitely recommend the film. David Lean is mostly known for his epic films like Lawrence of Arabia and Dr. Zhivago, but he was great at small intimate films like Brief Encounter and the lesser, but still good, Summertime with Katharine Hepburn. Strange contrasts of vague perspectives and vivid close-ups made a film world of it, Betsy thought, and was inclined to glide up cobbled alleyways, close to the walls, hesitating at yawning entrances, her face paper-white, she imagined her blond hair gleaming. She regretted her school-satchel, feeling for a moment like some girl in a French film: shabby embittered, passive, poor. Glimpsing herself in a shop-window, she was surprised to see that she was only stony-faced. Another passage I liked was a slightly humorous one from the perspective of the maid who works for Harriet and her husband. The maid is writing a letter to her parents about Betsy. 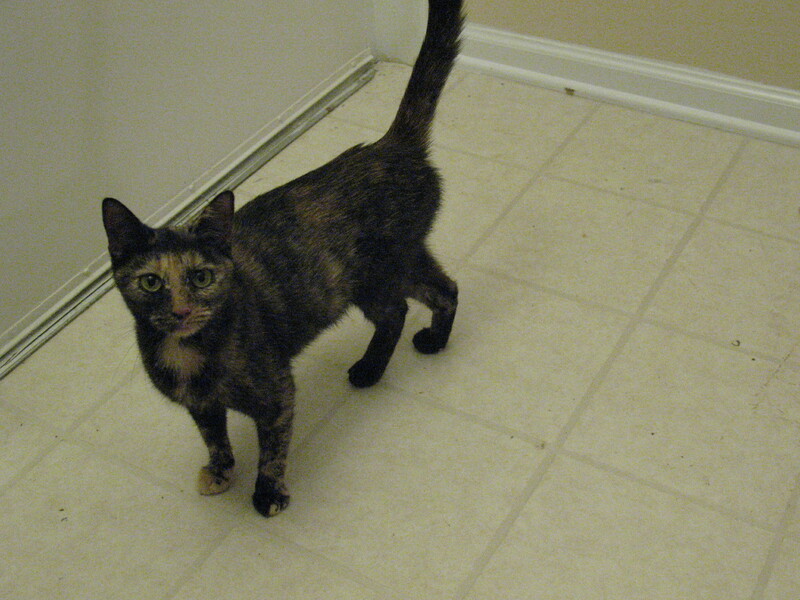 Elke wrote: “She shuts herself into the bathroom and shouts at the top of her voice. She wipes her mouth with her hand. She is more like a child with her knees showing. She is allowed to talk at mealtimes.” The first part sounded very amusing in Dutch. Her parents worried over these letters. They hoped that Elke would not try to speak at the table when she returned.